Background: Roddy Boyd wrote a fine article about Philidor - a speciality pharmacy tied to Valeant. You can find the article here. Some of the conference call addresses that article. However I want to start in the Q&A. Valeant recently purchased Salix - a company that focused on gastrointestinal disorders. 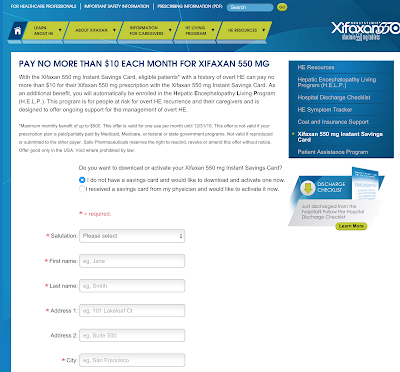 Xifaxan - a drug from Salix - is now the largest drug by sales in the Valeant portfolio. The conference call (transcript here) includes this exchange on Xifaxan. Sure. Just trying to figure out -- you said [Salix Revenue] was going to be about $300 million, you're recognizing $460 million. So, I'm just trying to figure out what changed since you provided that guidance. I think a couple things. One is we don't know exactly -- we know what the inventory is with the big three, we don't know how much inventory there is in some of the other distributors because there were no agreements in place to tell us that. What we're not doing is providing any discounts or any incentives for people to buy Salix products. Also, the inventory was not sort of -- it wasn't that everyone had like five months of extra inventory of everything. It really varied by product. So, there might have been a year's worth of one product and four months of another product. That's why it's taking time. It's taking time to reduce those inventories. But I think the sales, the fact that sales have increased -- again, there's no sales incentive, I think it's all growth. The products continue to grow above what we had forecasted in our deal model. And, as Rob mentioned, we're going to continue to try to be conservative. We don't want to get ahead of ourselves. Then integration costs, the integration costs we've exceeded --." I have highlighted the key sections. The CEO of Valeant is stating that there are no discounts or any incentives for people to by Salix Products - and that the growth in the sales is thus organic - a result of market demand - and possibly their superior marketing ability. This was repeated multiple times. So I just googled Xifaxan Coupon and found this - on Xifaxan's own website. Now these are coupons. But whether they are "discounts or incentives for people to buy Salix products" I will leave to you to decide. Valeant recently received a subpoena from the U.S. Attorney's Office for the District of Massachusetts and a subpoena from the U.S. Attorney's Office for the Southern District of New York. Most of the materials requested by the subpoenas relate to documents with respect to our patient assistance programs, and also include requests relating to financial support provided by the company for patients, distribution of the company's products, information provided to the Centers for Medicare and Medicaid Services, and pricing decisions. And indeed the patient assistance programs, and Valeant's relationship with a speciality pharmacy called Philidor Rx services is central to this - and was addressed for the first time in the conference call. What is Philidor Rx Services? 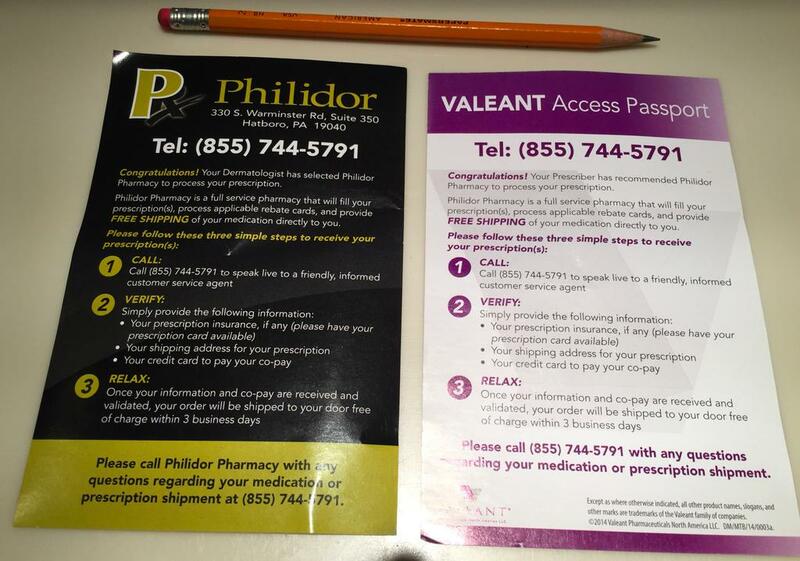 Here is some sales and marketing material left by Valeant sales reps - including referrals to Philidor. 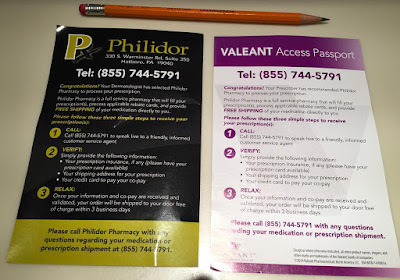 Note that the phone number for the Valeant access passport and for Philidor are identical. 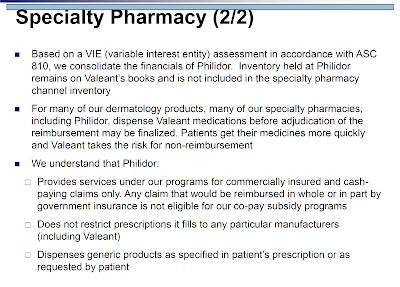 The interview at no point indicates that Philidor is tied to Valeant. Andy Davenport state they partner with "manufacturers to help bring their branded medications to market as cheaply as possible". He says "manufacturers" plural but in reality they are captive by a single branded good manufacturer. He also says they chose the best manufacturers for the products on the market. It stated that they have 635 employees nationally - and they think they will get something near to 1000 employees in 2015. They thought they would be 12-15000 prescriptions per day by the end of 2015. The word Valeant never appears in this video. 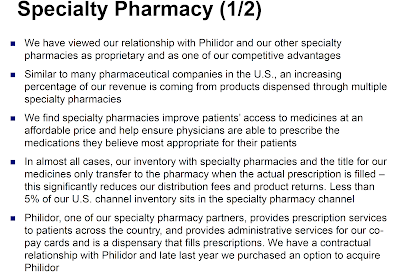 Similarly the word Philidor never appears in anywhere in the SEC filings for Valeant even though it is probably a double-digit percentage of Valeant's sales. That is right - there is simply no mention of it in SEC files. Ownership it seems is deliberately hidden. Indeed Philidor appears to commit criminal offences to hide who their owners are. On July 24, 2013, in Respondent's application for licensure, Respondent made a false statement of fact with the intent to benefit Respondent, in that Matthew Davenport certified under penalty of perjury in section "E" of the "Parent Corporation or Limited Liability Company Ownership Information" application form that there were no entities with 10% or more ownership interest in Respondent. In fact, at that time, there was one (1) individual and one (1) corporate entity with more than 10% ownership interest in Respondent. There are many other allegations of perjury by Philidor or its offices. Most of this [government alleged] perjury was designed to obscure who the owners of Phildor were. What is Philidor's business model? I found this to be a pretty aggressive marketing tactic, which certainly could be used to attempt to stuff sales and bilk insurance companies. 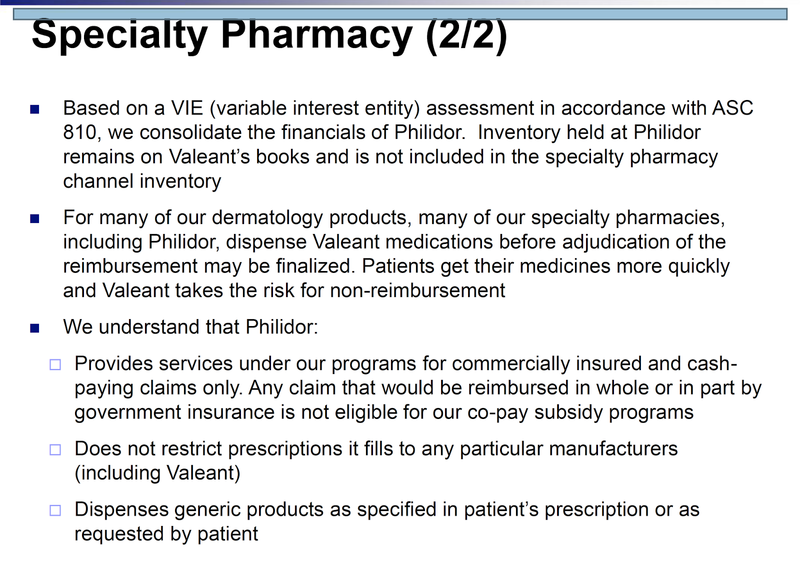 I do understand that Philidor was either created by or strongly associated with Valeant. I'm not versed in the Healthcare world but I just found it so strange and aggressive that it made me question the efficacy of the practice. What was perhaps the most strange was that the doctor seemed to have been incentivized to steer me towards Philidor, and was at least somewhat aware of the relationship between Valeant and Philidor. It made me wonder what perks the doctor may have been receiving to plug Philidor and Valeant drugs. With all that said, I now have a least a few years supply of athletes foot cream, haha. There are multiple reports online about Philidor robo-calling people and sending them prescriptions. Some reports state that the prescription arrives without approval. It states clearly that the rep helped launch Philidor in six states. 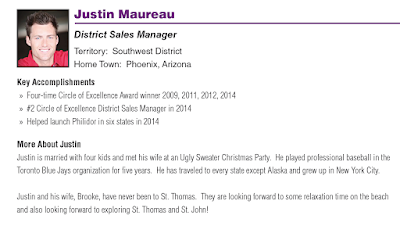 This is what is rewarded in sales at Valeant. We made extensive efforts to work out who owns and who facilitated Philidor. As we noted the website gave no clue. As of 24 June 2014 (according to the Great State of California) there was one individual owner and one corporate owner with more than a 10 percent stake. So we dug and dug. 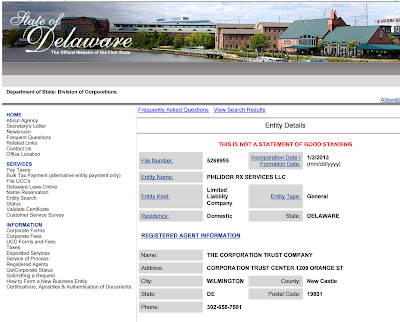 Philidor Rx Services LLC is a Delaware LLC that was formed in early January 2013. 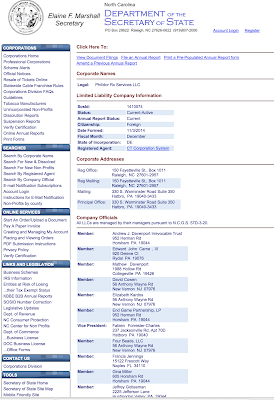 The head office is in Pennsylvania, and it formed an LLC in Pennsylvania a few weeks later. As Philidor operates in a number of states, it needs pharmacy licenses and "foreign" incorporation in several of those states. 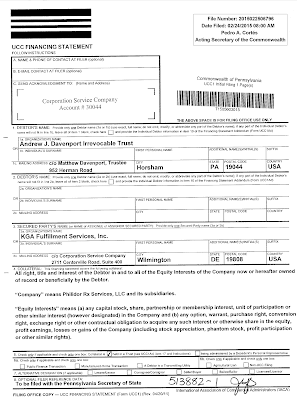 One of them is North Carolina, where Philidor Rx Services registered as a foreign LLC in late 2014. Anyway you can find a list of the "members" of Philidor here which for convenience I have cut-and pasted as a picture. In early 2015, something changed, for reasons we are don't quite understand. 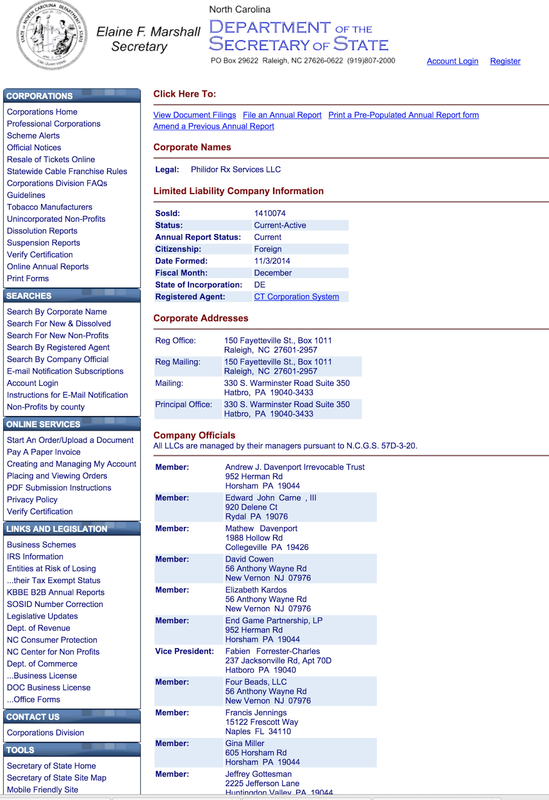 At that time, all on roughly the same day, each "manager" listed in the NC filings above had an identical UCC filing placed on their holdings in Philidor in their respective home states of PA, NJ and NY. We think this corresponds to a mortgage or lien over the shares. There should be a similar lien in Florida but we have not found it yet. The lien covers all equity interests of any type that the individuals would acquire. Here is one such filing. You can find the original filing here. The lien was filed 24 February 2015 and is in favour of KGA Fulfilment Services. KGA Fulfilment Services was easy to find. They exist in the SEC database only once - as a subsidiary of Valeant in an attachment to the last annual accounts. So here we have it. A company that (at least in 2015) looks to be financed by Valeant but where management have gone to the extent of [alleged] perjury to hide who the underlying financiers are - and who auto-refill prescriptions waiving copayments. There are also very big accounting issues with financing your customers [and not disclosing it] and we were very interested in the scale of this financing. We have been poking around Philidor for some time now. Other people have too - as I have been sent things by other people. Roddy Boyd almost certainly tried to get answers from management when he wrote his (above-linked) article. The conference call was the first time in any correspondence that Valeant has disclosed their relationship with Philidor. Here is the core slides from the conference call presentation. 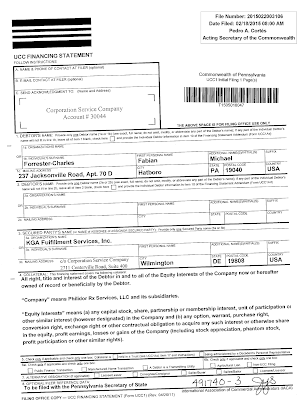 They specifically state that they purchased an option to acquire Philidor in late 2014 and that they now consolidate Philidor as a variable interest entity. Normally that would be disclosed at least by name. Buying what was probably your biggest customer usually requires disclosure. Whatever, Valeant say the effectively purchased Philidor in 2014 - but then the question is why there was no charge over Philidor holdings until late February 2015. It is hard to enforce an option if you do not have security over the shares. 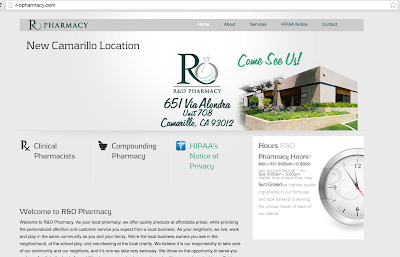 R&O is a relatively small local and mail-order pharmacy operating in Ventura County California. I suspected originally and possibly even now that Valeant used R&O because Philidor did not have a license to operate in California. This first came to my attention when The Skeptic tweeted a picture of a demand letter sent by Valeant demanding almost $70 million in payment from R&O. Here is a link to the demand letter and below is a picture. On September 4, 2015, R&O received a letter from Robert Chai-Onn, Valeant’s Executive Vice President, Chief Legal Officer and General Counsel. 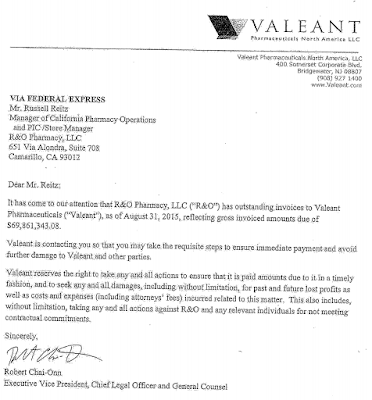 In the letter, which was the first correspondence that R&O had ever received directly from Valeant, Mr. Chai-Onn claimed that R&O, a small licensed California pharmacy, owed Valeant over $69,000,000. However, R&O has never received a single invoice from Valeant in any amount and until September 4 had never received a single demand for payment from Valeant. R&O has requested copies of the invoices, but to no avail. Indeed, it seems that Valeant has no evidence whatsoever to back up its claims. 2. Valeant is conspiring with other persons or entities to perpetuate a massive fraud against R&O and others. The purpose of this action is for R&O to get to the bottom of this, avoid accrual of avoidable damages, if any, and secure an early adjudication without waiting until Valeant sees fit to file suit. Next question: Why did Valeant's General Counsel send a letter to R&O? R&O is one of the specialty pharmacies in our network, and Valeant has shipped approximately $69 million at wholesale prices to them. This represents approximately $25 million at net prices. Any products R&O dispensed to patients were recognized as our revenues, and are reflected in our receivables. Any products still held by R&O are reflected in our inventory. R&O is currently improperly holding significant amounts it receives from payers. We will refrain from comment on active litigation, and look forward to showing in court that we are owed the money. This is a pretty big difference you might think. R&O says that they have never received communication directly from Valeant and Valeant says that they are one of the speciality pharmaceutical companies in their network and they have been shipping them material for some time. The problem is that neither of these explanations make much sense to me. Here is the limited stuff that I can find out about the relationship between Valeant and R&O and (dare I say it) our old friend Philidor. Now note this. There is a website for an randopharmacy.com on the same name server as Philidor. But - and this is really strange - it is a different R&O Pharmacy from the website that received the supposedly spurious demand for roughly $70 million. 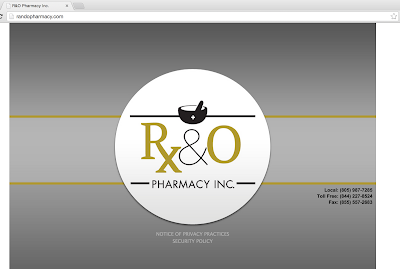 These are the two websites for an R&O [or an R and O] pharmacy. Here they are. Only the latter one of these has the same name server as Philidor. Here - before they disappear - are pictures of the front page of both websites. It’s Your Information. 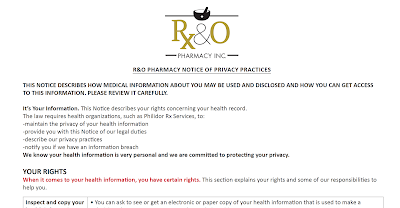 This Notice describes your rights concerning your health record. We know your health information is very personal and we are committed to protecting your privacy. Look at that highlighted section: randopharmacy.com says the law requires organisations like Philidor to do things. You see this pharmacy has revealed itself. This R and O pharmacy is Philidor or at least a closely associated related party to Philidor. And now I have a theory about what happened in this law suit. Valeant has sent product to randopharmacy.com and then sent demands to http://r-opharmacy.com/. The latter has responded by telling Valeant that they are the victim of a major fraud. 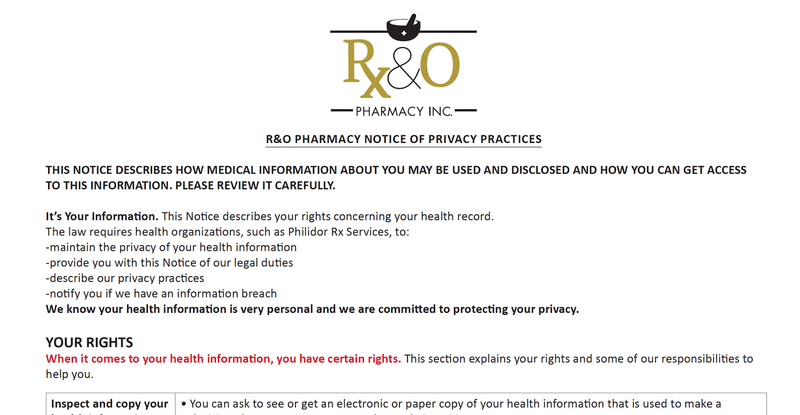 R&O Pharmacy [the one that received the demand letter] appears to right. Valeant appears to be either involved in or the victim of a major fraud. So I rang the phone number on the r-opharmacy.com website [805 319 7260)] out of California hours. They could not take my phone call right now. However they offered a button to push (the number 1 on my keypad) if I wanted to fill a dermatology prescription. Philidor Pharmacy answered the phone. "Yes Sir the whole US of A". You see the problem. Philidor was denied a non-resident pharmacy licence in California with the Californian authorities alleging perjury. But they ship to California anyway. We are still trying to work out who is committing fraud on whom. There is clearly some going on but who the victims and who the perpetrators are is not obvious. But what we have is Philidor (a Valeant consolidated entity) selling pharmaceuticals unlicensed in California and with a fake website for randopharmacy.com. They do this despite being specifically denied a license in California. However R&O Pharmacy - the real one - clearly has a strong link with Philidor. You can call R&O's phone number and be transferred to Philidor. It is entirely possible that R&O thought they had no relationship at all with Valeant until the demand letter came. They clearly knew they had a relationship with Philidor - but Philidor and Valeant carefully shielded their relationship and it only became public in the conference call. One possibility is that Philidor sold scripts in the name of R&O [which would explain the double-website] and kept the money itself - telling Valeant that the money was sitting at R&O and was owed by R&O. I guess other possibilities are also possible and I have no way to handicap them. Whatever: Mike Pearson has a very big problem and it extends beyond the more $50 million he will need to write off. It is possible - even likely - that some people associated with a variable interest that Valeant consolidates [and I have limited idea which people] have set up an entirely new randopharmacy.com - and have defrauded either Valeant or possibly some insurance companies of almost $70 million. (b) told everyone that they will win in court. It is does not have decent operational or financial control over Philidor. And Valeant collecting this money seems unlikely. A fraud has been committed here but I can't tell who by. And I can't tell who is the victim of this fraud. We wanted to see if we could work out in more detail where the fraud was committed - at least for the purpose of telling the relevant Attorney Generals who to subpoena as part of their inquiries. There is also at tech contact email there ffcjfc@gmail. That email it seems belongs to Fabien Forrester-Charles as we discovered from the website of Emily Weaver Photography. Management. He is a part owner of Philidor and had pledged his shares to KGA Facilitating. The document by which he pledged his shares is copied below. The tied specialty pharmacies and their rather aggressive copay sales tactics - which are the key to Valeant maintaining sales for some often marginal products whilst raising their prices look compromised. There is a possibility that the biggest one - Philidor - contains fraudsters who set up fake associated pharmacies and then don't pay their bills. I can't tell whether this is junior staff or senior staff - and I can't tell whether the parties being defrauded are just Valeant or a combination of private insurance companies, Valeant and or Medicare/Medicaid. The biggest specialty pharmacy (Philidor) is clearly delivering product to California despite being specifically (and pointedly) denied a license to operate in California and giving false statements under penalty of perjury by the Government of the Great State of California. When you have subpoenas outstanding from two US Attorneys offices into the practices of these pharmacies this is going to matter. Moreover I demonstrated at the beginning of this post that Mike Pearson does not actually know how the incentive programs work on the ground. He repeatedly (and falsely) stated that Valeant does not use those programs on Salix products. The reason he largely does not know is the incentive programs are outsourced to specialty pharmacies (and as we will see below) also to some charities. And the key specialty pharmaceutical company appears to have a fraud problem (although we do not know the full nature or extent of that problem). [D]ocuments with respect to our patient assistance programs, and also include requests relating to financial support provided by the company for patients, distribution of the company's products, information provided to the Centers for Medicare and Medicaid Services, and pricing decisions. It is worth understanding what the criminal offences they might be investigating are. They relate mostly to copays. Copayments for drugs exist for good reasons. Firstly and obviously they recoup some of the costs of the drugs from patients. But far more importantly they verify that (a) there is a patient and that they are a real patient, (b) that they actually want the drug at least enough to make a small copayment. Australia used to have an entirely free pharmaceutical system for people eligible for the pension. A $2 copayment was introduced. This trivial copayment had a surprisingly large effect on the demand for a drug. Whether it is legal to waive copayments depends on the relationship between the insurance company and the pharmacy. [In many instances waiving of copayment has been deemed to be fraud.] However critically it is a criminal offence to systematically waive copayments when the insurer is Medicare or other Government programs. This is not something to take lightly - the Government does not like to be defrauded. If the Valeant tied specialty pharmaceutical companies systematically waive copays for Medicare patients then there is considerable doubt whether Valeant can survive. A criminal charge against an entity with $30 billion in debt is likely to be fatal. 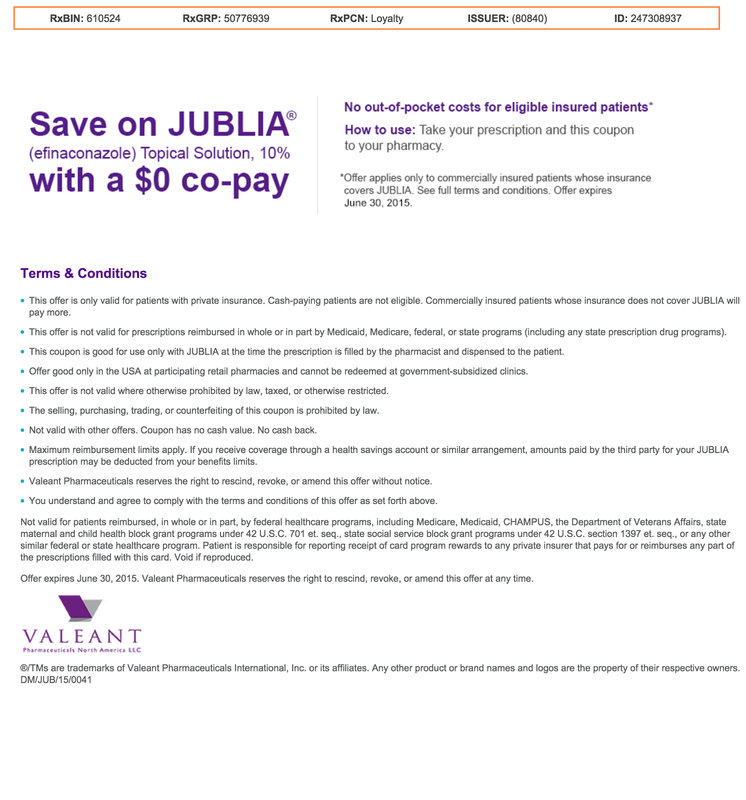 The relevant text is this: "This offer is not valid for prescriptions reimbursed in whole or in part by Medicaid, Medicare, federal, or state programs (including any state prescription drug programs)." We have found similar text on every Valeant coupon page. Drug companies however are a creative lot. They have found a way of ensuring that many Medicare patients are not out-of-pocket on pharmacy purchases. They fund "copay charities". The charities (and you hope they are genuine charities) tend to be funded by many pharmaceutical companies and will make copayments on branded drugs subject to means tests. They are - for obvious reasons - not allowed to be specific to one company's drugs. Valeant's patient assistant programs are administered by a reputable third party, and we fund outside foundations that have multiple donors. Eligibility is determined by the independent foundations. It is also important to note that eligibility for our in-house commercial access programs is limited to patients not covered by government programs. Looking at history, our commitment to patient assistant programs has grown at an annual compound rate of 128% from $53 million in 2012 to approximately $1 billion we expect to spend in 2016. He specifically says that the "in-house commercial access programs is limited to patients not covered by government programs" and that they use outside foundations with "multiple donors". These programs will of course be the subject of some inquiries by the US Attorneys. There is a minor contradiction in the statements by Mr Pearson on the call. Earlier in the call he stated that Philidor provides "administrative services for our copay cards" and we now know that Philidor is consolidated and not a "third party". The question of course is whether these lofty standards are upheld in practice. That will be the subject of the US Attorney's inquiries. And there is a problem - we have identified serious issues at Philidor and Philidor provides administrative services for Valeant's copay cards. We have no idea how this will work out - but we suspect there may be some difficulties. In the above quote Valeant states that their patient assistance programs are growing at 128 percent per annum. They will spend approximately $1 billion in 2016. This will be a high single-digit percentage of revenue and it looks like almost all of their products will have patient assistance for most of their sales. This is extraordinary. Valeant has long said that they have avoided products which are dependent on reimbursement. If you google the phrase "significant cash pay component" you find literally dozens of Valeant presentations that harp on that as being an advantage of the business model. That seems to have been a smokescreen. Valeant plans to spend a billion dollars in 2016 so that patients do not have to cash pay for most of their products. anything I will say about the numbers will be churlish. I am short this stock. The US Attorneys are actively involved and somehow I think that is bearish. My RSS feed had Citron's release on VRX, then once I'd read that, yours. By the time I finish your entry the stock is down $30, and IB are telling me there is a Short Sale Restriction in effect. John: I have always enjoyed reading your blog. This is exceptional due diligence. I wish I had completed my own work and shorted this when you first highlighted the azvalue dissection of the 10k. Keep up the great work!! Terrific piece of work John. Well done. Congratulations on your well deserved pay-day. I've read all you posts on Valeant so it is fun to see the balloon bursting. Do you think that there is any residual value in the company for the shareholders or will the creditors and US government take everything? Citron's report is sensational and likely wrong to make conclusion that R&O = Philidor = Valeant. 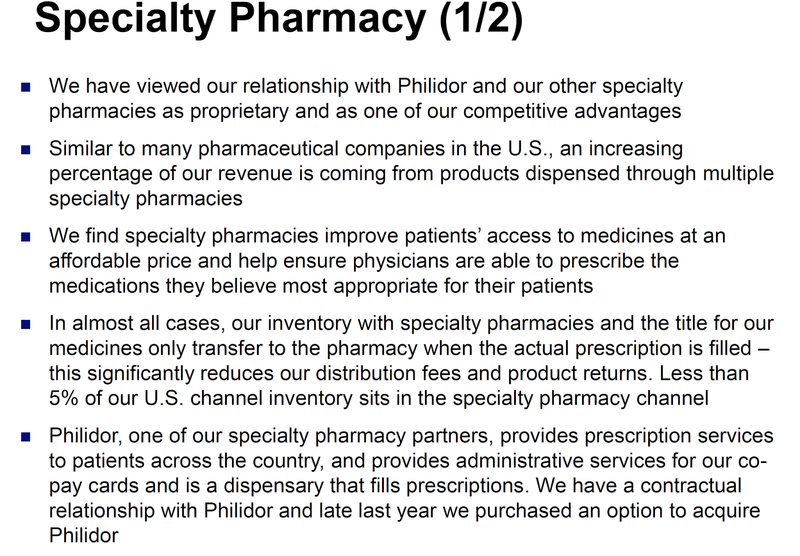 Most likely Philidor distributes Valeant's drugs to some local pharmacies like R&O. Some lazy IT guy at Philidor helped R&O setting up R&O's website and copied/pasted same content from Philidor to R&O, thus this same fax number oops. BTW, privacy hotline is nothing but a requirement from government so it's not a surprise that many small firms may share the same hotline phone number. I am not defending Valeant. I have no ideas of its business. I believe that when he talked about Salix discounts he meant discounts / sales incentives to distributors and the sale channel (not to patients). He has in past talked about reversing what prior Salix management had done in terms of providing incentives for people to take more into channel. Looks like Philidor (or at least some individuals at Philidor) decided to usurp the "legitimate" R&O pharmacy's CA sales by impersonating it. My guess is that both VRX and the "legit" R&O have been duped by Philidor. The whole thing is bizarre beyond belief. "If the Valeant tied specialty pharmaceutical companies systematically waive copays for Medicare patients then there is considerable doubt whether Valeant can survive. A criminal charge against an entity with $30 billion in debt is likely to be fatal." I doubt it would reach this point (VRX going to zero). In the past several large companies have been accused of defrauding Medicare / Medicaid and they always getting off by paying a large fine - see https://en.wikipedia.org/wiki/Medicare_fraud. Minor correction - the "major league" baseball player at Philidor was actually only a minor league player ("major league" refers to MLB only, the top professional baseball league in the US). I went to a high-end dermatologist office, but just for a basic checkup. She prescribed an acne cream I didn't really need, Retin-A, and gave me the Philidor card you posted above, saying it would be easier. It was a pushy sales process and I remember thinking that she must love her sales rep. I filled the first prescription via mail, paid no copay and after looking at my explanation of benefits, see that they charged Humana $770, of which they paid the remainder after my $45 copay. The copay showed up towards my out-of-pocket max even though I hadn't paid it. 28 days later they call me about a refill, offering to waive the copay again. I had used maybe 25% of the first prescription and didn't need any. When I did need one, I called Philidor, and they said they would call me back. They called later that day, offered to waive the copay again, and sent it. Looking at the explanation of benefits, my second prescription was filled by SAFERX PHARMACY out of New jersey. (It shipped from PA and arrived just like the first one from Philidor) Again my $45 copay was added to my out-of-pocket maximum. I live in Texas for what its worth. Congratulations on the work, probably still some more downside as John's thesis play out. Leverage will be a problem but not enough to bankrupt the company, we know there are some real companies in there, B&L etc. So the next question is once sales deflate, once leverage is reduced, once costs go up to reflect higher R&D spending and a more sensible long term approach that doesn't rely on rolling-up assets, once the fines are paid... In other words once the company is de-Pearsoned.. What's the value? Fabien Forrester-Charles is listed as CIO in an old version of the website for BQ6 Media Group. Other familiar names from the CA pharmacy denial were part of BQ6 too — Greg Blaszczynsky and the Davenports. It's still not clear to me if Philidor is scamming Valeant or if Valeant knows what's going on, but whatever it is it's messy. 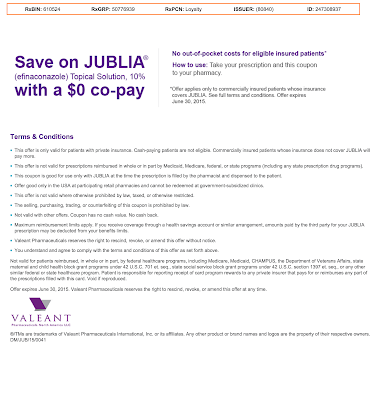 Have you looked into how much Valeant is getting reimbursed for Jublia? I'm suspicious of the claim on the conference call that "Jublia scripts at a 4 ml equivalent grew 28% sequentially from Q2 2015 to Q3 2015, while revenue only grew 4%. This is primarily due to an approximately $10 million reduction in wholesaler inventory due to a stocking of the 8 ml SKU in Q2, coupled with a shift in Jublia sales from the traditional wholesaler channels towards our specialty network where inventory is held on a consignment basis. We should see revenue growth more closely matching script growth next quarter." It would not surprise me if the reason revenue only grew 4% is because they're having a hard time getting insurance to pay 10k for toe fungus treatment, and we can't tell because a large amount of discounts are going through Philidor. Always had a bad feeling about Valeant. So what still can be profitable is to short the stock and buy its bond, when they hit<70, bonds are already down 8% so far and dropping by the minute. The R&O claim makes no sense. If you're a small party and you get a huge invoice/threat from a big company that you don't owe, you write back that you don't owe it and you wait. Because you expect the other side to back off. You don't need them to call and say "sorry," and you don't file a preemptive lawsuit and start incurring preemptive legal fees and preemptive distraction just because the other guy isn't returning your calls. I read the complaint as saying "hey Valeant I'm going to stand here and pretend to be clueless, and if you want money you're gonna have to explain this whole structure publicly." This is a common tactic in divorce negotiations, where one spouse knows the earning spouse may have committed a teensy bit of tax fraud. The reason they filed in California, is that California courts are relatively strict that documents in lawsuits are available to the public and aren't sealed. Here's a hypothesis: Philidor/R&O is less a subsidiary of Valeant than it is a joint venture, and suddenly there's so much more money than expected flowing through Philidor that now there's a tiff between Valeant and the other player over how to split up the loot. Also, at this point the threat to Valeant isn't the prosecutors. After this, it's the insurance companies. Interesting that the VRX collapse may cause Pershing redemptions. That of course would force a reduction in their HLF short. Have a look at the 2014 10K. pp.46-7 cites $397million from participation in Ackman's PS1 as "operating cash flow". Setting aside the Philidor issue, for which Citron deserves some credit for spelling differently in different places, let's take a look at the actual business. I'm only concerned with cash in versus cash out, not accounting treatment. If you look at the statement of cash flows for the June quarter, it looks like Valeant generated $410m before interest for the quarter and about $901m for the six months. Over 3 months, A/R increased by $241m and inventory increased by $118m. If they were in fact stuffing the channels, this would show up here, and there are some increases, but not enough to scream that there's fraud. More concerning is the fact that the free cash flow does not cover interest payment for the quarter. Unless there is massive growth in free cash flow, this company can't service its debt. As a lawyer that initiating process document is the best (and most unusual) I have ever seen. Question for the group, is it possible to think Citron's report is nonsense while thinking Bronte's is great? The online support email address on the homepage of r-opharmacy.com from both May 2014 (via Wayback Machine) and currently has an apparent typo. The erroneous address at the bottom of the entire website is info@ro-pharmacy (look where the dash is located in the domain name) which is an unregistered domain name according to WHOIS. Emails sent to this address bounce back. The correct address is the same as shown elsewhere on the Contact page as info@r-opharmacy.com Given the volume of consumer transactions over the last 16 months (May 2014 to present), it would seem logical that enough customers or internal staff would have brought the invalid email address to the attention of the company and it would have been fixed. Either the typo has gone unnoticed by regular customer or the real traffic to the firms website is so low that nobody noticed. Speaking as a(n Australian) litigation lawyer, that letter of demand to R&O is surprisingly piss-weak: it almost begs not to be taken seriously.
" I rang the phone number on the r-opharmacy.com website [805 319 7260)] out of California hours. They could not take my phone call right now. You see the problem. Philidor was denied a non-resident pharmacy licence in California with the Californian authorities alleging perjury. But they ship to California anyway." 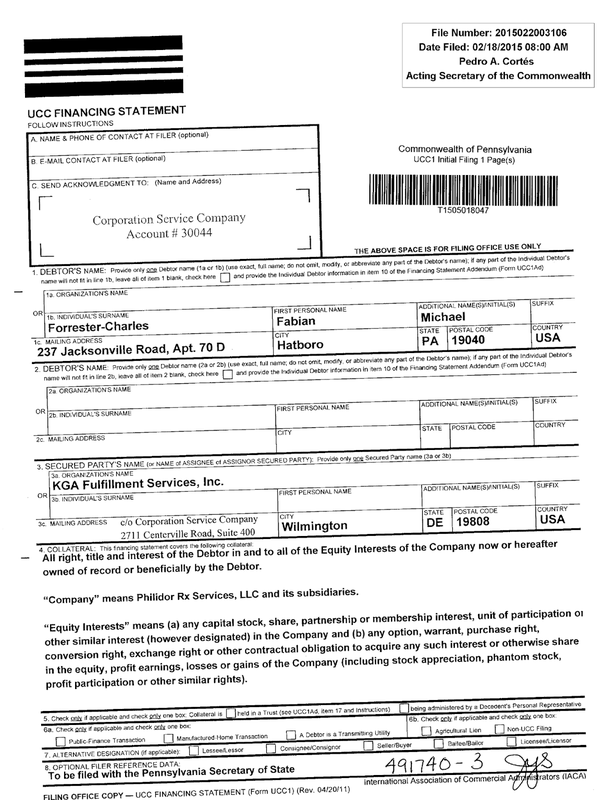 Couldn't it be that Philidor partnered with an affiliate in CA (RO, Rando, Wilshire, etc.) to comply with the CA in state dispensing laws? Then the affilate uses Philidors call centers and logistics to process the prescription? Congratulations! I was short VRX for a year and a half taking much pain. Finally I covered in 2014 around $107. Thank god I did! The round trip would have been too much to bear(Get it?!). Regardless, I hope you covered at least some, 40% in a day is 40%. Pigs get slaughtered both ways. Forget about Pershing Sq., Sequoia, probably big enough to survive. I'd look at holders of 1-2 mil shares, Hound Partners, etc...There could be some hedgies closing shop year end. Both R&O websites have the same address at 651 Via Alondra. People must have seen this, right? So it seems there aren't two separate R&O companies? Your next question comes from the Gregg Gilbert from Deutsche Bank. Your line is now open. ...And Gregg, I am sorry some of the footnotes were not correct. We will correct those. We will talk to you, we will correct them and we will put it up on our website." 2) the Philidor-owned R&O is bogus and just appeared to look like the legitimate one for CA regulatory purposes; VRX didn't know about this and mistakenly sued the legitimate R&O; and the Philidor connection with the legitimate R&O is some crazy coincidence (call center outsourcing or something). 2). divest to pay down the debt. 3). 10x price hike is a bit too much, but 5% a year looks legitimate and sustainable. 4). w.r.t.above reason, VRX before is valued as a growth stock, as long as they keep their acquisition pace, the model will support the share price. But now it should seat itself among the big pharma, i.e., PE 10 makes more sense. I'm not entirely sure why Ackman bought more shares during the slump. He is close friends to Pearson, and i think he definitely knows all the risk. Looks like a good time to cover shorts. VRX has some good assets, for example B&L, Salix's drugs are quite good too. http://ipinfo.io/AS62559 is proof that the websites in questions controlled by Philidor RX Services. Smoking gun, and it means phantom pharmacies could be making Valeant lots of money. As a collection effort, the letter from Valeant is strange. Generally, a collection letter from a legal department would be dated and there is no date at the top of the letter. Also, such letters are not commonly sent via FedEx as speed of delivery is less important than establishing the paper trail. In the US, it is far more common for the legal department of a company to send a collection letter via the US Post Office as certified mail with return receipt requested. The recipient is required to sign and date a green signature card which provides proof of receipt and establishes the collection timeline for future legal action. This green card is forwarded back to the sender by the post office. Instead, this collection letter looks more like a standard form letter that would be sent to any number of delinquent accounts. The letter does not reference specific invoices, invoice aging, or make specific reference to the credit terms of the customer. Also, the letter does not include a phone number or extension to the legal department. The phone number at the top of the letterhead appears to be the general phone number for Valeant. As noted elsewhere, a small pharmacy would never incur legal costs to respond to this collection letter and would certainly not file suit against Valeant on the basis of the letter. If there were no open invoices, R&O would simply send certified mail ($7 expense) back to Valeant explaining that Valeant's collection effort is in error. It is clear that R&O had an incentive to use this letter as a tool to publicize the R&O and Valeant relationship. The collection letter to R&O and the response from R&O to Valeant was likely triggered by a contentious negotiation between Philidor/R&O and Valeant around valuation and/or terms of the acquisition of Philidor/R&O by Valeant. John, a couple of comments/thoughts. Second, it's interesting that R&O's filing only denies receipt of any invoices, but doesn't refer at all to the non-receipt of any underlying get pharmaceuticals. Perhaps this merely reflects the narrow terms and f the letter of demand, or perhaps sloppy drafting by R& O's lawyer. But I wonder if R&O has in fact received Valeant products via Philidor for which it hasn't paid, and Valeant has sought to recover monies owing to its pseudo subsidiary. I also note the Letter of demand refers to wholesale prices, and whether any actual amount receive by R&O is significantly less. I'm f course the fraud possibility remains live, but there are other explanations. I've seen this disputed. Some say that these sorts of fines are pretty minor. Do you have anything to back up your argument here? This is in a class of its own when it comes to forensic due diligence. This really is brilliant John....but you understand you've probably been crossed off of Bill Ackman's Christmas card mailing list....nice post! My personal favorite, check out Google Trends for Philidor vs. the sub pharmacies. Philidor started getting some website search traffic in 2014, but randopharmacy.com and the others appear to have gotten zero meaningful search traffic. $70mm in orders and nobody ever searched for R&O's website to place an order, return, etc... okay. R&O pharma as well as 4 other clone pharm sites have their have their Hipaa security statements signed by the same "James Fleming" under the title of Secretary, Manager or Member. All were put up in the last few months. There is no mix up between R&O and randopharmacy. They have the same address on their websites. James Flemming is on the books in several states.. Regarding the R&O lawsuit, while not a common maneuver, I understand its logic. Valeant threatens to sue R&O for $69 million. I don't know how big R&O is, but my guess is $69 million is an awful lot of money for these guys. 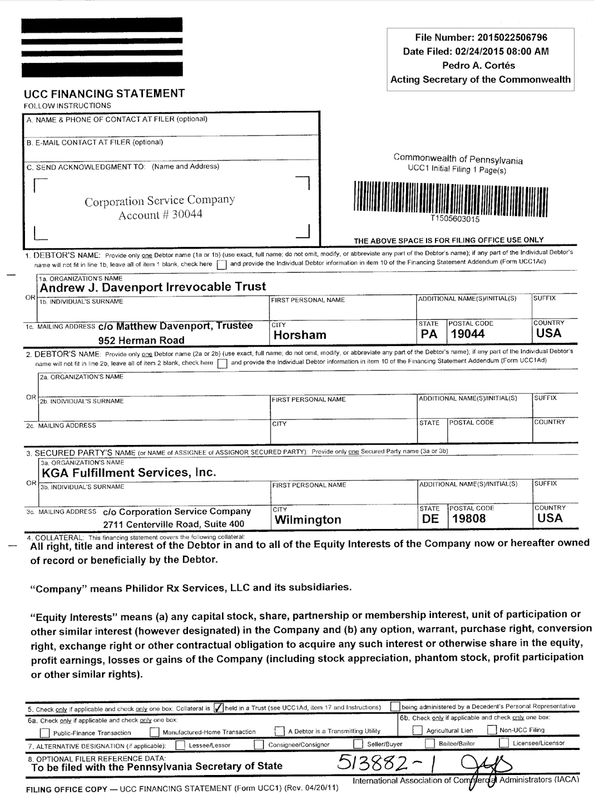 Valeant North Am is, according to the demand letter, in New Jersey. While it is arguable whether R&O can be dragged into court in NJ, it is a risk, and they would rather be in CA (if they are licensed in NJ they can be sued there, no question). So they are facing potential litigation on the other side of the country, for a huge amount, on claims they purport to know nothing about, by a company that won't back up their claims. As a lawyer, depending on my client's resources, I might recommend suing for declaratory relief, in our preferred venue, and remove this sword of Damocles from over my client's head. But - and this is key - I would only recommend this if we were convinced the claim was a fraud. 3. Absolutely is a VRX entity -- anyone's guess the look-thru revenue and earnings; clearly this entity is also doing co-pay waiving. 5. 4chan is now digging! It all started as a perfect plan until R&O went rouge. R&O was Philidor’s answer to the California part of a reimbursement fraud. Philidor bought R&O for a song late 2014 but as the massive checks started coming thru, Russell Reitz, the Pharmacy-in-charge, decided that by refusing to cash the checks, he could get more money for the misdeeds. Valeant sent them a letter on 9/4/15 demanding the money and Isolani (i.e. Philidor) sued Reitz on 9/8/15 at the Superior Court of California, County of Los Angeles. On 10/6/15, Russell Reitz came all the way over on top and raised the stake by suing Valeant in the Central District Court of California, threatening to publicly expose Valeant’s gambit. Valeant would have folded and paid Reitz a king’s ransom, except the whole Philidor scandal is just getting too hot. SafeRx Pharmacy was opened in 2014. We're committed to being more than just a local pharmacy - we also want to be a good neighbor. At SafeRx Pharmacy, we focus on providing exceptional service and the kind of pharmaceutical experience that will make you a happy and loyal customer. SafeRx Pharmacy is here because we care about you. We hope to help you soon. Jaimin Patel is the store manager of SafeRx Pharmacy. 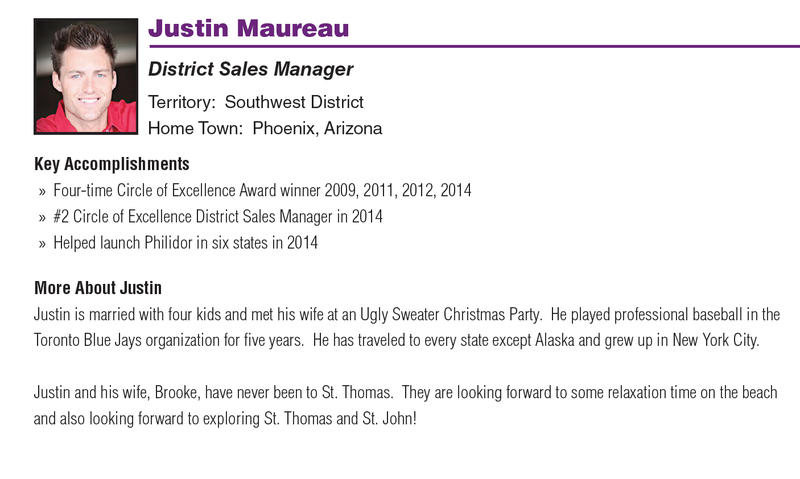 He's part of a professional, talented staff that offers customers a fantastic pharmacy experience every day. From kind service to quick turnarounds, our business is satisfying you, the customer. Jaimin welcomes every customer with a smile, and he and the SafeRx Pharmacy team look forward to serving you soon. I was at Philidor/R+O/SafeRX and the others. Valeant is claiming they are separate entities to disparage the fraud claims but they were all pretty much ran from the same place. And then, see the website address from the facebook page. It's the EXACT same "two sites" as seen with R&O. 7. Again, same phone number. Per Yelp, the pharmacy was established in 2014. And is clearly doing business via phone and mail order. How many more of these fronts are out there? Let's hope actual revenues don't mirror the Google Trends data! 2014 is when Pearson began creating this monster. John, Thank you for the outstanding work! Philidor became a company due to its relationship with medicis and no other reason. John your research is very good and pretty close to what will probably come out about Philidor Fabian and the Davenports had quite an aggressive plan I think some of it was a game but a lot was greed and that trait that puts a lot of people in jail Arrogance! Based on the cross complaint, it appears R&O's original complaint was true in every way. Valeant never sent an invoice to R&O. Rather, Valeant's agent, Philidor, sent invoices to R&O without disclosing its agency relationship. How is R&O to know that these invoices are not just forgeries which are part of a massive fraud perpetrated by Philidor/Isolani? These could be medications which fell off the back of a truck after all. It looks to me that the scheme to cheat Reitz out of $315K is going to cost Valeant an enormous sum. Justice would be Valeant/Philidor/Isolani on the hook for the legal bills of both sides because of the MSA. It is hard to tell where one entity begins and the other ends. Situations like this demand piercing of the corporate veil. 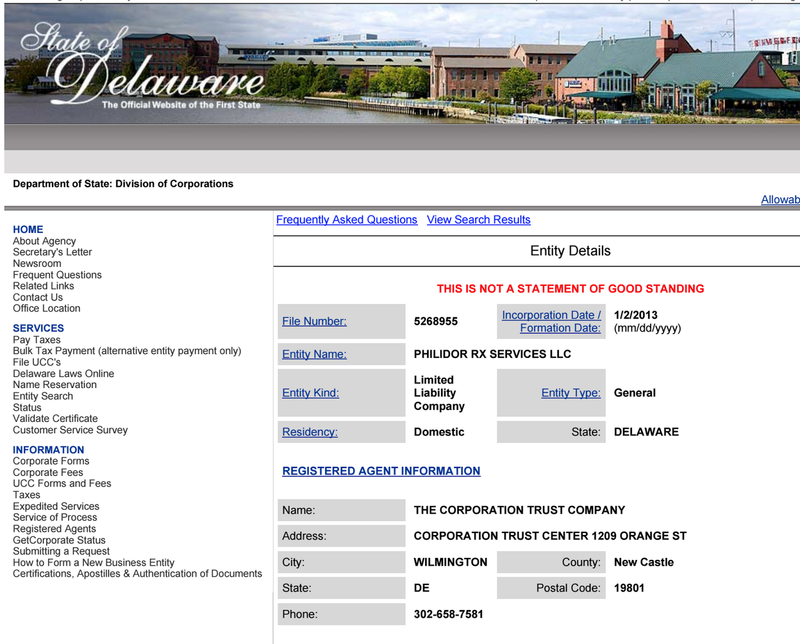 It's looks pretty damning that the Philldor owners might be involved in fraud. Given prior firing accusations of accounting fraud and the suggestion they have been stuffing the channel with unneeded product. Then a series of transactions with R&O that look like they might have gotten really greedy. The harm by Rice seems out of place given the purchase price of only $30k and the establishment of a management contract. A management contract is an easy way to set up a shell and then operate it under your control. If they were having regulatory issues in California that could be the motivation. Rice's filing could be CYA for when the whole thing implodes. This raises the question if Valeant got led into a trap or if they were in on it. At what point did they loans by Valeant to cover the ownership of Philldor occur? Was it to start the company or bail it out? What was the motivation for the purchase option? Once again a shared complicity in a potential fraud or getting duped before fraud began to be suggested. I don't find the consolidation to necessarily indicate control. It could be that VRX stupidly entered into the purchase option (perhaps as settlement for unpaid receivables) and then their auditors came along and told them they would have to consolidate because of the option/GAAP rules. The answer to these questions is material to whether or not VRX is a victim (survives) or a collaborator (dies). The real question is how did Philldor management plan their exit if indeed they were guilty of fraud (fraudsters aren't dumb - they usually do have an exit plan). They must know that when the insurance companies figured out the business practices they would cut Philldor off - if in fact this was happening the motivation for other pharmacy shells would make sense. It would also make sense to try and sell the bag of sh$% to the most likely to be harmed by when it collapses (present management excluded). If the exit plan were to stick VRX with the bag of sh*$ then this scenario could leave VRX the victim, even if they were coerced into the current position. At this point a likely scenario is that VRX not exercise their option, let Philldor implode since the spector of fraud has already been raised and just suffer a) a big write-off on unpaid receivables and b) fight charges that they were involved with Philldor. The Philldor management might be satisfied to default on their loans, walk off with loads of cash and see if they can stick some unsuspecting Pharmacist employee with any criminal liability. Then they could 'Donald Trump' the company into bankruptcy by abandoning their ownership interests. Of course this is all conjecture and I make no suggestions of wrongdoing by R&O, Philldor, Valeant or their by their management, owners, lawyers or any pets they may keep. @Contrarian -- There have been several reports by Philidor employees that their paychecks and W-2s were issued by Valeant. Also, many Philidor employees are directly supervised by Valeant badged employees. What does this do to your theory that the two entities are possibly separate?